I wanted to share these with you. 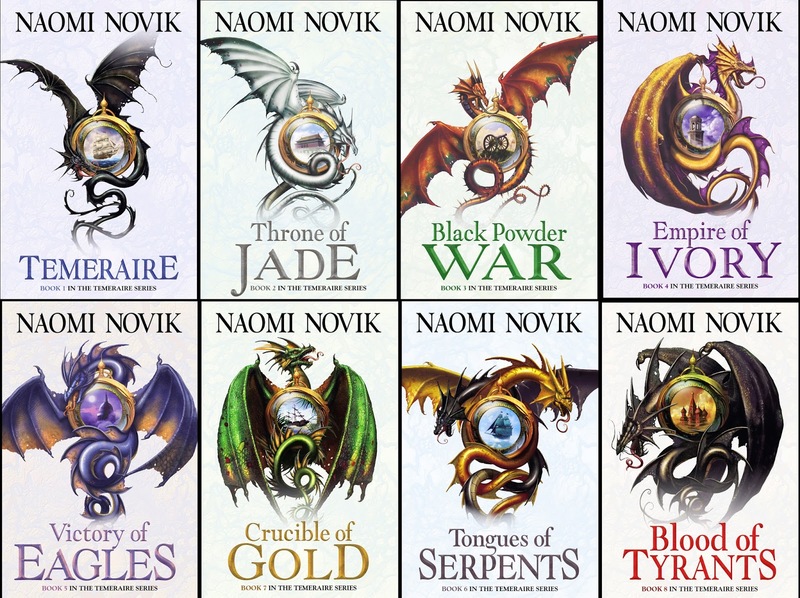 Its the series for Temeraire by Naomi Novik. This series has spanned over 15 years! I was lucky enough to illustrate covers for both the UK and US editions. I will post them all up soon. These current editions are below and I think the layout and art make for a very crisp and eye catching design.